Lodge Pre-Seasoned Cast-Iron 10.25-Inch Skillet for $15.92 (Reg. $27) + FREE Prime Shipping! 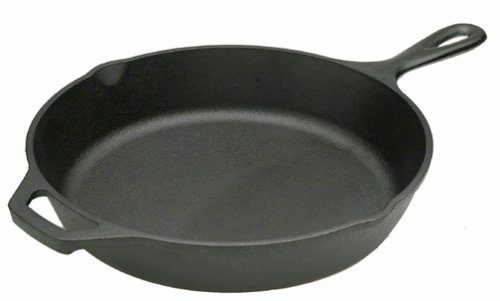 You are here: Home / Great Deals / Amazon Deals / Lodge Pre-Seasoned Cast-Iron 10.25-Inch Skillet for $15.92 (Reg. $27) + FREE Prime Shipping! Been looking for a cast-iron skillet? Check out this deal – get this Lodge Pre-Seasoned Cast-Iron 10.25-Inch Skillet for $15.92 (reg. $27)! And, shipping is FREE with Amazon Prime or Super Saver Shipping! This would make a GREAT Christmas gift for someone!